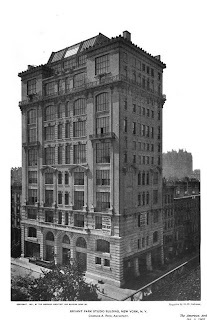 The Bryant Park Studio Building designed by Charles A. 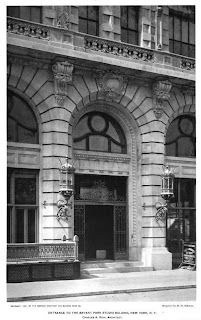 Rich c. 1900 at 80 West 40th Street in New York City. The building was constructed to house artist's studios and was commissioned by portraitist A.A. Anderson. Click HERE to read the 1988 Landmarks Commission's designation report and HERE to see the studio building on google street view. 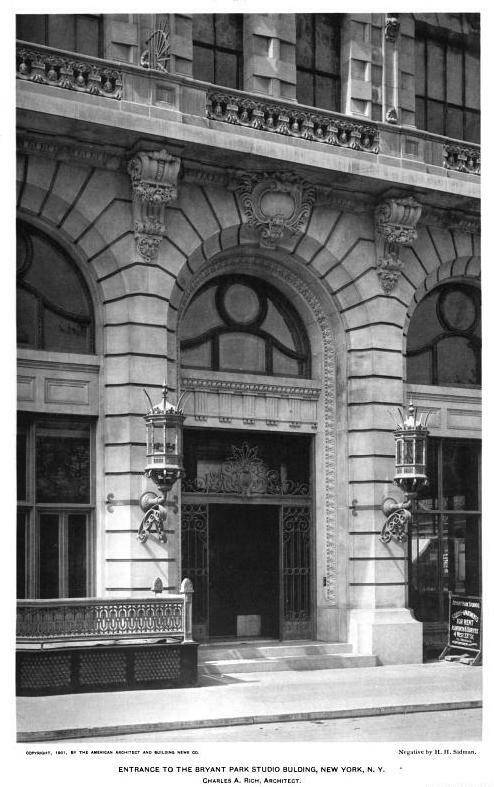 Photos from American Architect & Architecture, 1901. The building is quite stunning at the corner of 6th avenue with its two storey loft spaces overlooking Bryant Park. The entire block from 5th to 6th avenues actually contains a handful of landmark buildings. BTW, anyone interested in the origin of these studio buildings should get a copy of Annette Blaugrund's great book on The Tenth Street Studio Building in Greenwich Village, designed by Richard Morris Hunt and built by James Boorman Johnston in the 1850s. Smart, exhaustively detailed, and very well illustrated. It's out-of-print, but not hard to find through the usual online outlets. "BTW, anyone interested in the origin of these studio buildings should get a copy of Annette Blaugrund's great book on..."